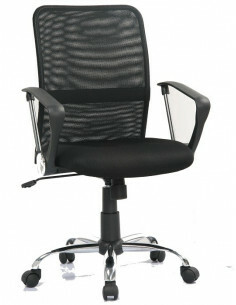 10 days delivery around EUROPE Ergonomic swivel chair with high backrest. 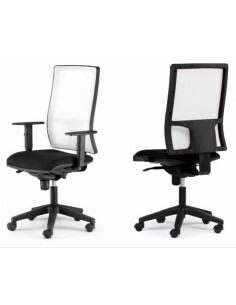 National manufacturing chair with robust construction that incorporates the syncro mechanism to regulate the angle between the seat and the backrest. Upholstered chair in blue, black, red and gray. Base in black polypropylene. 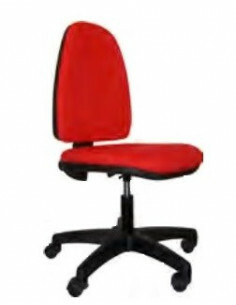 10 days delivery around EUROPE High-back swivel chair and permanent contact mechanism for offices, classrooms, schools, etc. 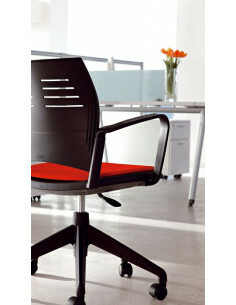 Upholstered chair in blue, black, red and gray. Base in black polypropylene. See option chair without arms. 57,32 € 69,90 € -18% tax excl. 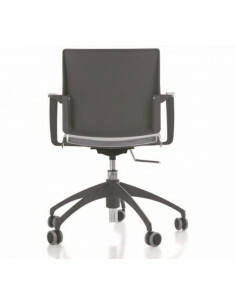 Technical chair with tilting mechanism and gas lift system with fix armrest. 59,21 € 78,95 € -25% tax excl. 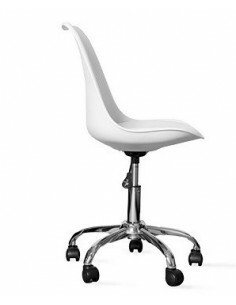 Swivel chair with soft castors for parquet, SCANDINAVA model, lift height adjustable with gas piston, finished with chrome base and polypropylene housing with vinyl seat in black or white colors. A note of color in our work or study area. 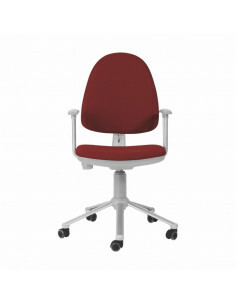 With Flax translucent colours take the leading role in an office chair that does not renounce ergonomic features. Furthermore, FLAX incorporates colour in its safe and reliable metallic base with rubber castors especially designed to protect surfaces. 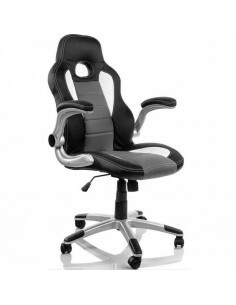 Office chair with ergonomic design RACING. 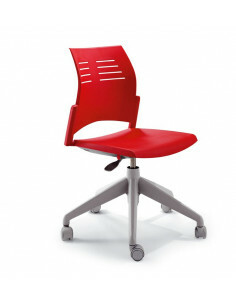 Ergonomic and adjustable in height chair with tilt mechanism and armrest included. 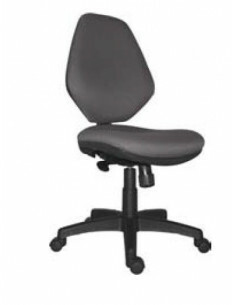 Swivel chair chair. Height adjustable . 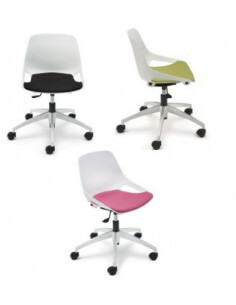 Upholstered seat in different colors as an option. White nylon base. 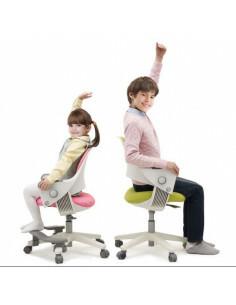 High back swivelchair with ergonomic shapes, with permanent contact mechanism. 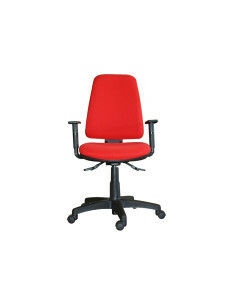 Swivel SPACIO chair with gas lift, seat and backrest in various colors. 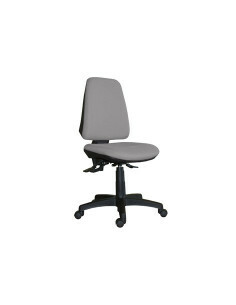 Medium back operator chair with fixed arms, gas lift, base black nylon, and rubber wheels. 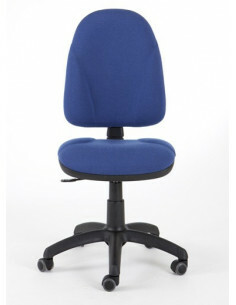 Polypropylene seat and back (not upholstered).